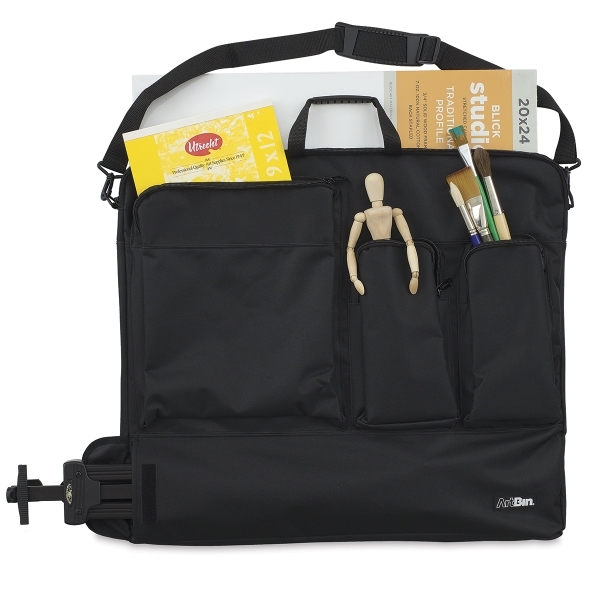 ArtBin Tote Folios are the ultimate art supply transport case. They're perfect for storage in the studio, as well as for transporting sketch pads, clipboards, presentation materials, finished work, and supplies. 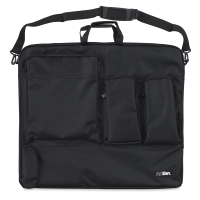 Constructed of durable nylon material, ArtBin Tote Folios feature a roomy interior compartment with zipper closure, exterior pockets with secure closures, convenient carrying handles, and a detachable shoulder strap. Tote Folio, Black, 24" × 36" — The front of the folio has one large pocket measuring 17" × 14" and two smaller 6½ × 11" pockets. There is also a 34" × 6" front horizontal compartment with hook and loop fasteners. 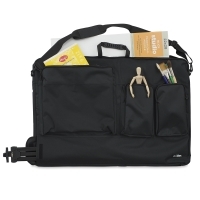 Tote Folio, Black, 23" × 27" — The front of the folio has two 5" × 10" zippered pockets for pencil kits and small supplies, a 12" × 12" zippered pocket, and a horizontal 27" × 6" hook and loop closure pocket. The back features another large 16½" × 16½" zippered pocket. 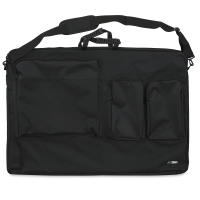 Tote Folio, 23" × 27"
Tote Folio, 24" × 36"
Note — Items 15068-2020 and 15068-2025 do not feature a "T-Square Pocket"